Phil Collins Returning to Music and Genesis? 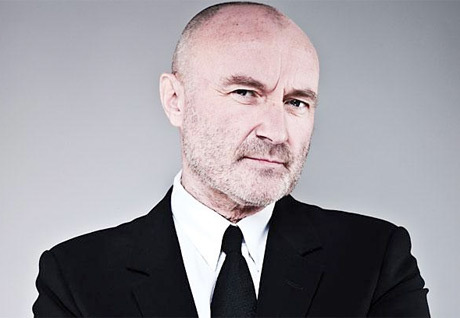 Though we're going to have to take this at "face value" as more ruminative than real, Phil Collins has said he's thinking about making a return to music, including a possible reunion with his old band buddies in Genesis. The singer/drummer was forced to step aside from the music industry in 2011 following a spinal injury that occurred a few years earlier. At the time, he noted he couldn't play percussion because of the damage, and mused that his time in the spotlight was likewise over because he didn't fit in with the contemporary music scene. There must be something in the air these days, though, leading Collins to consider making his return. "I have started thinking about doing new stuff," he told German press [via the Guardian] at the Stuttgart premiere of a musical staging of Tarzan, based on the 1999 Disney film soundtracked by Collins. While the comment leaves a lot to the imagination, he added that this could mean a return to the stage, "even with Genesis." "Everything is possible," Collins told Bild am Sonntag. "We could tour in Australia and South America. We haven't been there yet." Collins has not played live since 2010 and not with the rest of Genesis since 2007. His most recent solo effort was the 2010 covers set Going Back, with his last set of originals being 2002's Testify. Collins's tenure with Genesis runs all the way back to 1971's Nursery Cryme and found him jumping from behind the drum kit into frontman duties following the departure of Peter Gabriel a few years later. Over the years, the band eased from their early prog leanings into a smoother, soft rock sound. Genesis's last official studio album was 1997's Calling All Stations.